Let’s firstly step back in time to an age when grape growing and wine making was a slow one, influenced by the seasons, a culture of patience. No unnatural fertilisers, no pesticides, with a hands on approach to managing the vines and making the wine. The wine was matured using natural yeasts and the bacteria present on the grape skins to perform fermentation, allowing longer maturation rather than rushing it along with additives, colouring, acid or stablishing agents. In the past this would have been called traditional wine making. Moving to the present day wine is still made from grapes, but there are now many farming philosophies of getting from the bud to the bottle. Wine and wine names may conjure up images of idyllic vineyards sloping down to creeks and rivers, with smiling workers hand picking grapes, and a hands on approach in the cellar. With industrialised big brand wines nothing could be further from the truth. The vineyards are vast expanses of vines grown on an industrial scale as far as the eye can see. The ground is treated with fertilisers and the vines are often fed nutrients via a watering system. Pesticide and fungicide spraying of the vines follows a strict timetable regardless of the health of the vines or grapes, It’s an all our nothing philosophy. Foliage is cut back by industrial hedge cutters and all the grapes (good & bad) are harvested mechanically. Once crushed, vast tanks of over 500,000 litres ferment the wine, here the lab technicians in white coats become involved. If a fault occurs in the wine, it’s not a case of pouring the tank down the drain, so early intervention always occurs, additives and manipulation ensure a consistent taste, so that every bottle produced tastes exactly the same year on year. This method of farming is found more mainly in the Old world countries, the wine making follows the traditions of previous generations but also uses modern methods especially in the cellar. There is no certification for this method or yearly checks. It is the vineyard owner who recognises the importance of sustainability and the bio diversity of the vineyard. In France it is also called Lutte Raisonne which in farming terms means the wine grower will only intervene in the vineyard if it is a necessity. Lutte Raisonee is very close to Organic farming, however there are no rules and no checks to ensure the practice is being followed. This is an independently certified process that vineyards in France undergo, and in many cases some wines from the vineyard will be organic and others Terra Vitis. It is popular with small French growers who cannot afford the time or expense of Ecocert (inspections, paper work, and certification are time consuming especially for the small grower who is already a busy one man show). 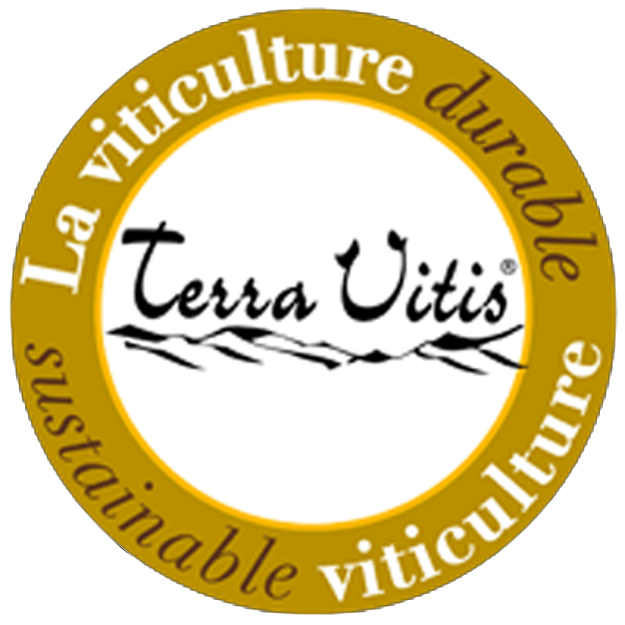 As a member of Terra Vitis, the grower is committing to rules which when followed, will produce healthy, high quality grapes and also respects and improves the eco system of the vineyard. All wines contain sulphites. It’s a natural ingredient in all wines, sulphite free wines do not exist. However, in the last few centuries winemakers have been adding sulphite to wine as a preservative. In the last few years sulphite has had some bad press. However, if you compare wine to other foods, it’s placed far lower on the scale compared to processed food and dried fruit. Some people have a reaction to sulphur, so you should avoid wines that have high levels. These are normally wines that travel to our shores from further distances, for example wines from the New World may have to travel huge distances by land and sea in extreme temperatures and the wines would become cooked and bland in taste. To counteract this, the highest permitted levels of sulphite is added in order to preserve the wines. If you suffer from wine triggered allergies, avoid these wines and seek out the wines that are shipped from our neighbouring countries and from smaller wine makers, who would make their wines for their local markets and not for mass export. This type of farming adheres to a strict list of practices some allowed some not. It’s about avoiding synthetic pesticides on the grapes and in the soil, no herbicides, fungicides or fertiliser and no use of genetically modified organisms. Weed management between the vines is carried out by ploughing or the use of cover crops, which also act as natural fertiliser. As with all organic products a small percentage of non-organic ingredients are allowed, but in general the grapes used are organic. Additives are restricted and sulphur added is greatly reduced. This is a holistic approach to organic farming, the entire vineyard is considered whole and there is an interconnection between all living things. However, it also believes everything is cyclical and tuned into energy patterns of the earth such as the equinox, sunrise, sunset etc. and that agricultural activity should be scheduled in accordance with the position of the moon and the planets. Animals are an important component, they graze and trim the vegetation around the vines while fertilising the soils. Many organic growers would follow biodynamic practice but it is expensive to be certified, you can regard biodynamic farming as a philosophy and organic farming as adhering to rules. Most people by now are aware that the term natural is totally unregulated when it comes to food and drink. However, there are a lot of good wine makers who proclaim that their wines are Natural. Though there is no legal definition of what this is and who is enforcing it. The guidelines set out by these growers proclaim their wine follows organic practice with a more sympathetic approach to the wine making with minimal or no intervention in the cellar. Again none of this is regulated.